As the academic year draws to a close for many of us who work or study in international education, people start to take to the skies so the latest exhibition at Musée National des Arts Asiatiques-Guimet in Paris might be of interest. From Nô to Mata Hari, 2000 years of asian theatre explores costume in theatre from across Asia over 2 millennia. It is surely something of a miracle to explore 2,000 years of theatre in Asia in a single exhibition. But From Nô to Mata Hari, currently at the Musée National des Arts Asiatiques-Guimet in Paris, does just that, showing costumes used in traditional Kathakali dance in India and Japanese Noh drama, Thai Khon and Balinese Barong masks, while also explaining the connections between them. This confrontation produces a real aesthetic shock: it is unusual to find in the same place, almost face to face, these dramatic forms, often very old, certainly infinitely complex and remarkably beautiful. Fair enough, but what has Mata Hari, who was born in 1876, to do with this broad panorama? 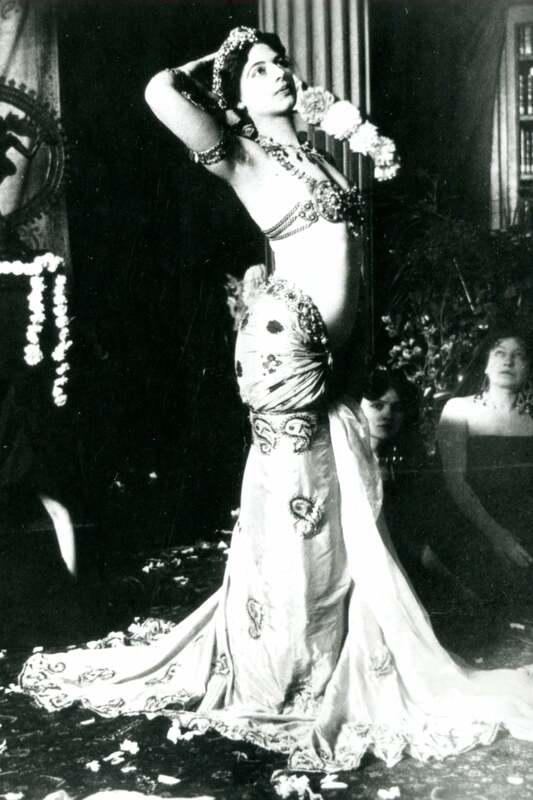 Born Margaretha Zelle, the famous spy first appeared under the guise of Mata Hari (“rising sun” in Malay) in 1905, at an evening of exotic entertainment staged by Musée Guimet. At the height of the Orientalist fashion, her show, designed in consultation with industrialist and art collector Emile Guimet, was inspired by Brahmanic ritual, midway between “an invocation to Shiva and a war dance”. It concluded with Javanese puppets. This number, which some spectators thought she performed naked, misled by her flesh-tinted suit, was staged in the museum library on the first floor, decorated like a Hindu temple. Here she awaits us, for one of the high points of a deliberately dramatic exhibition, as we progress in our understanding of the many traditions and dresses presented here. We are treated to a close-up of five costumes for dance, drama and mime. A minimalist decor – an embroidered curtain, a table and two chairs – serves as a backdrop for these sumptuous robes. 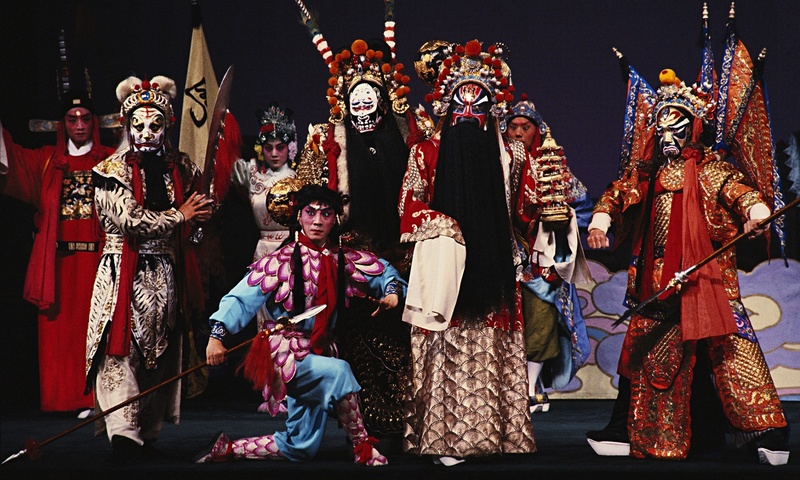 The equation of Asian theatre found in Beijing opera, with its combination of song, music, dance, poetry and acrobatics, is a singular incarnation. This art form finally coalesced in the 19th century, but it has roots in 13th-century Chinese opera. It dramatises the history of China and its myths, but also stories of thwarted romance, comic police investigations and folk tales. The costume, sublime and heavily ornamented, provides a host of clues essential to the show. The unbelievable court robe that features in the exhibition reveals the social status of its character. The dragon and wave motifs, head-dress sporting pink pom-poms and pheasant plumes tell us that a general would have worn this garment. This type of geometrical robe distinguished a high-ranking official, indicating not only his age, social status and importance, but also his feelings. Over and above its meaning, the costume from the Beijing opera contributes to an appearance of luxury while exaggerating the actor’s gestures. The latter, though relatively simple and clear, carefully composed, reach out into the surrounding space thanks to the supple motion of the long plumes and ample sleeves. One feature which was specific to the Beijing opera was the “water sleeves”, fitted to the costumes of both male and female characters. They were put to many uses, flicked and waved in the air, but also concealing the mouth (while eating) and cheeks (down which tears were running). The existence of this costume is a miracle in itself. 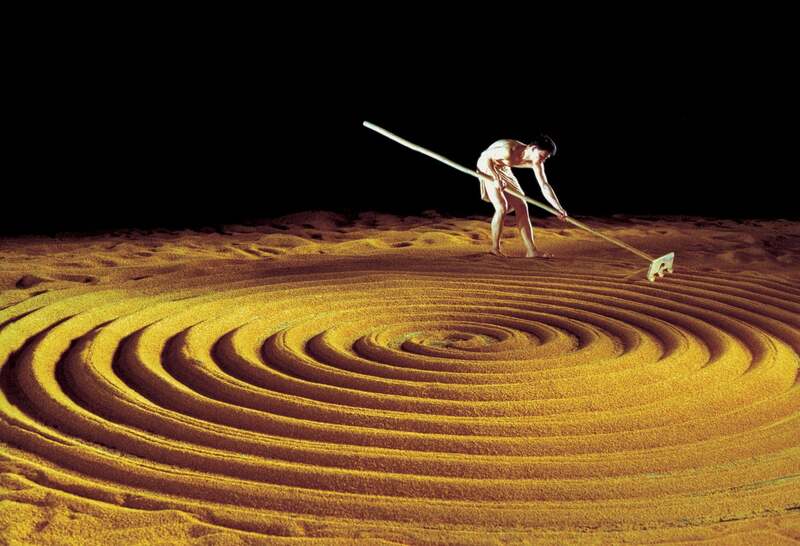 It belonged to the actor Shi Pei Pu (1938-2009), a leading light of the Beijing opera. In the mid-1960s the Cultural Revolution initiated by Mao Zedong and his wife Jiang Qing, a former actor, set about eradicating such bourgeois aberrations. Performances were banned, actors prosecuted and even murdered, and costumes burned. Shi managed to save some of his by hiding them. After emigrating to France in the 1980s he danced again in shows he had personally redesigned. So at least some of his wardrobe was saved. Kathakali (literally “story-play”) originated in Kerala, southern India, an offshoot of Kutiyattam, the oldest form of entertainment which is still performed in the subcontinent. In keeping with the larger-than-life heroes of this dramatic form, which includes music and dance, and was dreamt up by a well-read rajah in the 17th century, Kathakali delights in big sagas such as the Mahabharata or the Ramayana. Shows of this sort are generally staged near temples, in the open air, at nightfall or in the very early morning. “This theatre is inconceivable without a complete shift in body and mind,” says the specialist Françoise Grund. The costumes are extravagant and oversized, weighing more than 10kg. This allows only limited movement, apart from the arms. But on the other hand the mass of the skirts and the diversity of facial mimicry exaggerate what movement there is. Costume is both dress and decor, fitting into a set with only very limited props, generally a stool and a small curtain, which changes colour to mark the entrance and exit of characters. Makeup starts at least four hours before the performance, turning the face into a real mask, to such an extent that it gives the impression that any life has been wiped out. It is a key step in the process of integrating a character’s heroic attributes. After touching a copper bell, the frontier between the land of the living and the realm of the divine, each man in the troupe – here too they take the female roles as well – starts to apply makeup using the stem of a coconut leaf. The symbolism of the colours enables the audience to identify the various categories of character: noble heroes are associated with green; red with villains; black, the colour of evil and death, for demons; lastly orange for women. Each category comprises about 50 roles, which actors learn in the course of a 10-year apprenticeship. Just eye movements bring into play a sophisticated form of gymnastics, placing high demands on the player. Chutti – painstakingly cut out paper beards or ridges – are then added to the geometrically precise makeup motifs, in order to broaden the face with fantastic jowls. An aubergine seed is placed inside the lower eyelid, in order to redden the eye. Finally an equally impressive head-dress is fitted, to complete the face which no longer looks in the least bit human. The actors are then wrapped in loads of fabric and overlapping skirts. Resembling some fascinating or monstrous doll, they attain an inhuman dimension commensurate with the gods they embody. The ritual may now begin, backed by the feverish rhythm of the drums, accompanied by cymbals and chanting. The decor-costume favoured by theatre in Asia attains a subtle plenitude with Noh costume. The fabric and embroidery provide the spectator with accurate and remarkably detailed information on the dramatic action, its characters, time and space. Noh theatre, which combines song, mime and masque, first appeared in the 14th century, driven by the actor Yusaki Kiyotsugu Kan’ami and his son Motokiyo Zeami. 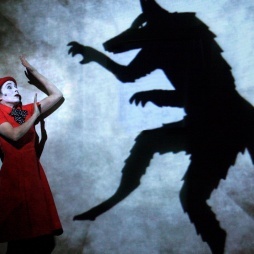 It gradually established a literary, philosophical and theatrical identity all of its own. It was Noh that first produced librettos, known as utai bon, or chant books, which contain the script, score and rules for performance. “This art form was particularly appreciated by Japanese emperors, samurai warriors, in short the aristocratic upper classes,” Samuel explains. With progress in the techniques used for weaving and dyeing Noh kimonos became increasingly sophisticated, enhancing the magic and luxury of the dramatic ceremony. In contrast to Kabuki – another spectacular form of Japanese entertainment, which appeared in the 17th century, but in a more expressive, less elitist register – Noh emphasises slowness and suspended animation. It attaches particular importance to yugen, a subtly profound, less obvious grace. As is the case for most dramatic rituals in Asia, costume is an integral part of the show, or at least its process. The layers of kimonos are stitched on to the performer. The mask, smaller than a human face, is adapted to suit their face. It conditions acting: the eye slits are so narrow that little light enters, prompting the actor to internalise his part. Always backed by musicians and a chorus which chants and recites, the very slow, almost weightless movement of the shite (leading player), accompanied by the waki (secondary role) unfolds on a stage, which always consists of a raised platform covered by a roof. A gangway connects the stage to the wings; a movement of the curtains punctuates players’ entry and exit. The backdrop sports a Japanese symbol of strength. 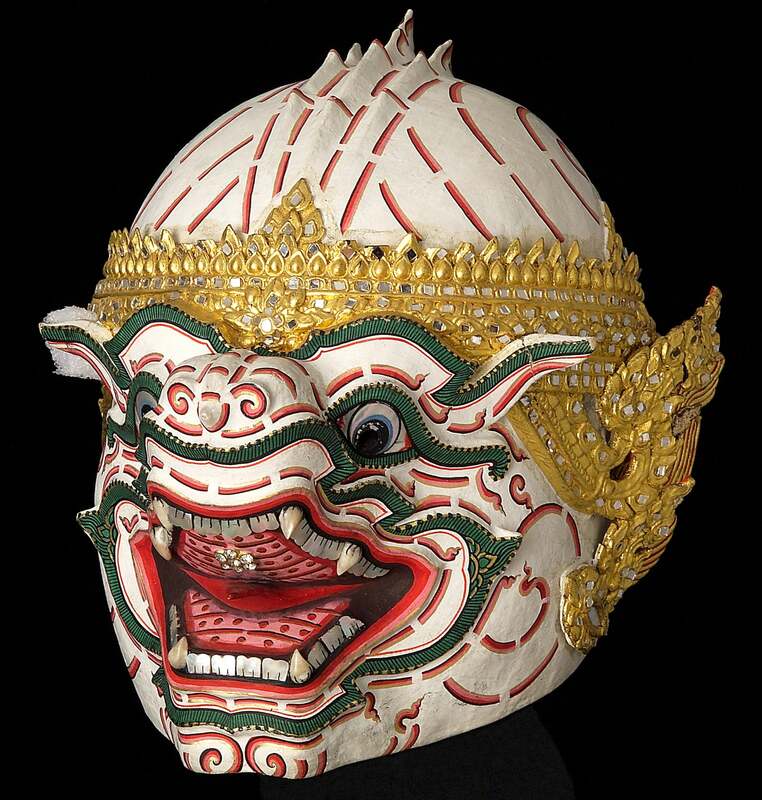 The mask, representing the monkey god Hanuman, belongs to the masked Khon theatre of Thailand. It is made of papier-mache, metal, glass and mirrors. The general commanding the monkey army is one of the heroes in the Indian Ramayana epic, which travelled as far as Thailand, where it was adapted to become Ramakian. 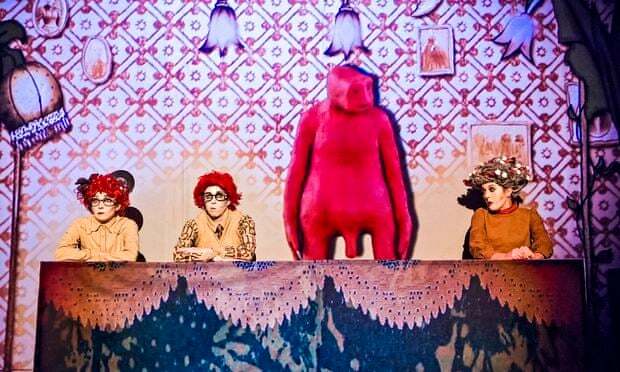 Rooted in pantomime this spectacular dramatic form is accompanied by an orchestra, including metallophones, xylophones, gongs and oboes. It brings to the stage battles between gods, demons and monkeys. Khon was first seen in palaces, then temples, only entering theatres in the early 20th century, its arrival coinciding with the end of the ban on women attending public entertainment. Khon players are masked. They circle the stage, their bust facing the audience, but their head looking to one side. Mute, they mime the situations described by two narrators – one for the story, the other for dialogue – and a chorus, supported by the orchestra.The impressive Hanuman mask must have demanded long hours of work. A plaster mould was covered with about 15 layers of mulberry paper, bonded with rice glue. The shell was then sculpted and painted. Masks are always white. This one has a jewel in its mouth, another on the forehead. The associated figure is valiant, swift and light-footed, but not short of humour either, particularly in amorous encounters. He consequently became a popular character in Thailand. Contemporary Khon no longer uses masks, which have given way to makeup. The mask and costume are beautiful, but huge and frightening, so lifelike the beast might at any moment open its jaws and eat us whole. This extraordinary dragon-lion is in fact a protective figure, always overcoming the evil witch Rangda, and one of the heroes of Balinese mythology, which still delights audiences today. Barong dance is rooted in the struggle between these two protagonists’ armies, an ancestral combat that varies as one travels round Bali, sometimes featuring a wild boar, elsewhere a tiger. The fight between good and evil is central to most drama in southern and south-eastern Asia. In Barong dance many characters – monkeys, witches, ogres, princes, the god Shiva – appear as the action unfolds. Though now a tourist attraction, it was originally performed in temples as a purification ritual, quickly achieving a trance-like effect. The dancers threaten one another with wavy kriss swords. A fascinating project has recently wrapped up in London. 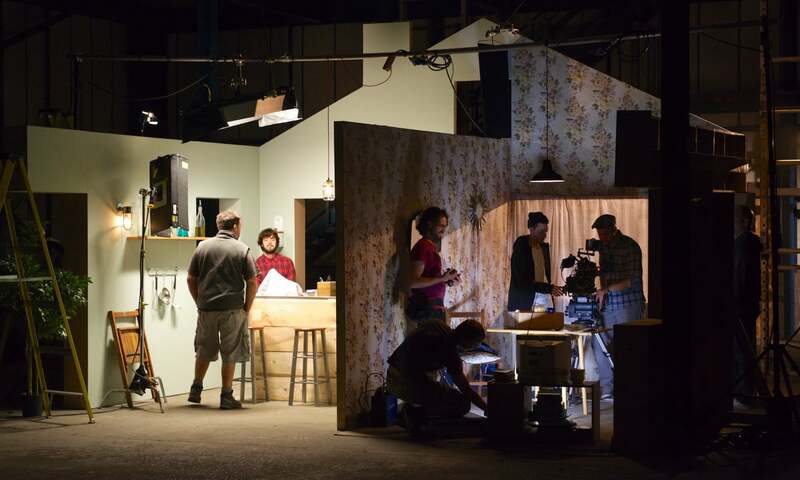 A group of journalists from The Guardian newspaper, collaborated with theatre makers from the Royal Court Theatre to make a series of six ‘micro’ State of the Nation plays plays, running under the banner, Off The Page. There is a video introduction to the series here. Each of the plays explores a different topic. Britain Isn’t Eating satirizes the UK government’s approach to food banks and the ‘feckless poor’. Devil in the Detail explores the emotional relationship that women have with clothes. PPE examines the power of politicians’ physical gestures – and the failure to engineer real change after the financial crisis.The Funereal Game explores racial tensions on and off the football pitch and the idea that sport embodies the country’s identity crisis. Finally, Groove is in the Heart examines the changing relationship with music and technology. For each of the plays there is a making of article which you can click-through to via the links above. The videos of the plays are embedded there too. Whilst obviously written about UK orientated issues, the themes are definitely global and all the pieces are really interesting. Each play used the same basic staging, but designed individually. A photo montage of the different designs makes interesting viewing here.